This is it! 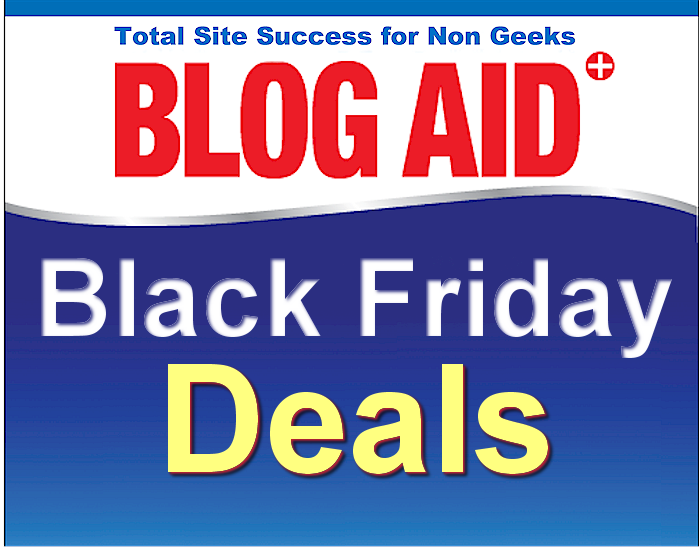 Get super deals to help you create a successful site. Some are time sensitive and/or have limited openings, so check them out early. Thank you for learning with BlogAid!!! Right now you can get 30% – 80% discounts on BlogAid services, live classes, and video courses. The Udemy courses start at $10 today and go up $1 every couple of days. So the earlier you purchase, the more you save. Udemy courses are lifetime so you can save now and take them later. Same with my Video Library member sites. Lifetime access means you can get them on the cheap right now and dive in when it’s convenient for you. All of the live Classes have limited open seats and start very soon. With 2 of them, you’ll be all finished before the holidays. With the other one, you’ll start 2016 by accelerating your site up a few notches to real results that you can measure. If you’ve been following me for a while, you know that I only run this annual special, and then specials for new launches. And that’s it!!! So, don’t wait around and miss them. It’s really great deal, Mam I want to Purchase dedicated server package for about 5-7 lac visitor in a day. Actually I am working on New Year event base site and I hope I will get about 5-7 lac visitors in one day. or 5-7k online at a time. Please suggest me best dedicated server package for this purpose. Hi Areesha. I no longer publicly endorse any host. You may want to see this post for why. Thanks.